New EU General Data Protection Regulation (GDPR), enforcement date: 25 May 2018. Using google fonts will be problematic in the eu beginning of may 2018. then the new eu privacy statement is being the new law. This plugin only disables all external google fonts links added by the template or extensions in your source code. After activating the plugin make sure all links to google font server (like: https://fonts.googleapis.com....) are removed from the source code. At properly function you have to see following comment in the source code <!--removed google font--> Please inform yourself how to use google fonts GDPR conform. We assume no liability for further data protection violations. Integrating google fonts into a website. Google fonts are integratet by template components or modules. Die Nutzung von Google Fonts ist derzeit sehr umstritten. Als kleiner Webseitenbetreiber möchte man kein Risiko eingehen und kann mit Hilfe dieses Plugins ganz einfach die Google Fonts Verlinkung deaktivieren. Eigentlich sollte das jedes Template etc. von Haus aus anbieten! I've been able to use the "Disable Google Font" plugin for my YooTheme templates and it works great! All links to Google fonts are removed. I also received help very quickly to use the plugin for my JoomlaPlates templates. The customer service of szekeres was simply outstanding. Ich habe das Plugin "Disable Google Font" für meine YooTheme Templates einsetzen können und es läuft super! Alle Links auf Google Fonts werden entfernt. Zudem habe ich sehr schnell Hilfe erhalten, um das Plugin für meine Templates von JoomlaPlates zu verwenden. Die Kundenbetreuung von szekeres war einfach hervorragend. 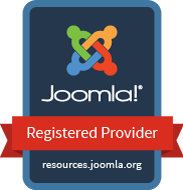 your Plugin doesn't work with Joomlashine Templates.